What’s involved with an SMSF? Invest in shares, exchange traded funds, property, managed investments, bonds, term deposits and cash. Receive tax effective benefits as a lump sum or pension income stream. Determine whether to appoint a corporate or individual trustees. Rollover monies from an another superannuation fund. Apply for tax deductible Life, TPD and Income Protection insurances within your SMSF (subject to underwriting). Learn how to maximise tax deductions through concessional contributions and salary sacrificing by consulting with a Fintech financial adviser. Deduct our competitive administration fees as a tax expense of the fund. Beneficiary Nominations – Liaison with Estate Planning Lawyers to ensure Beneficiary Nominations are valid and reflect your wishes. Did you know that if your fund owns real estate, this can be transferred to you on retirement as part of your benefit? Increased flexibility and control to utilise strategies that maximise and grow your wealth. Ability to implement strategies such as Transition to Retirement, buying a Business Property in your SMSF, Limited Recourse Borrowing Arrangements, Contribution Splitting, Binding Death Benefit Nominations and Reversionary Beneficiaries. Maximise your tax deductions through concessional contributions and salary sacrificing after consulting with your Fintech Financial Services adviser. Minimise tax on earnings and capital gains (pay 0% tax in pension phase and ‘transition to retirement’). Maximise your tax-free income streams. Our Fees cover total SMSF Administration service no extras for calculations. Self Managed Funds are most suitable for people that gain benefit to a greater range of strategy options such as company directors, self employed business owners and high income executives. A maximum of four members are allowed. 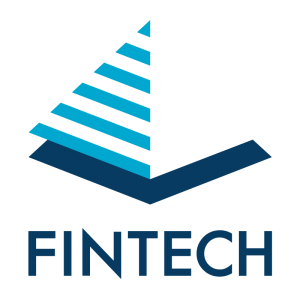 Guided by Fintech, you have the ultimate control to take advantage of strategies that maximise and grow your wealth.